2007/08 was the 50th season of the club, and Mitchell Park conducted a number of activities to celebrate their past and present champions. As part of the 50th season celebrations, all of our trophies names were revisited, and named in honour of club stalwarts. The only previously named trophy, the points based BJ McArdle Trophy, has been renamed The Daryl Reynolds All-Rounder Trophy in honour of one of our great all rounders. 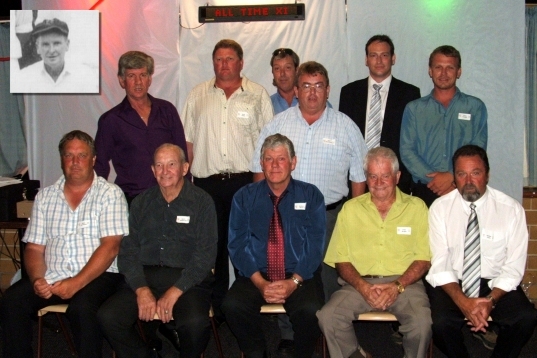 As Brian "Skippy" McArdle was a dominant batsman and committed clubman through the 1980s and early 90s, he now adorns the B-Grade Batting Aggregate instead. All other trophies feature names for the first time. The official All Time Team was chosen by Life Members John Gumley, Terry Hollis and Daryl Reynolds, who between them had played over 700 games for the club in 37 of the club's 50 seasons (from 1971/72). By pure coincidence, the final selected side meant that every single season from 1957/58 had at least 1 A-Grade player selected, with most selected players having played the bulk of their careers in the 1970s and 1980s, when we were at our strongest.